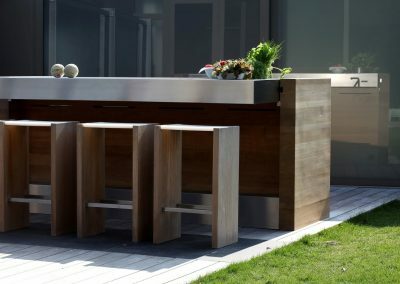 Outdoor Kitchens For Patios, Urban Roof Top Garden, Barbecue (BBQ), Char Grill Kitchen Cooking & Installation From The Gallery & Available in Leeds, Halifax, London & The Rest Of The UK & Ireland. 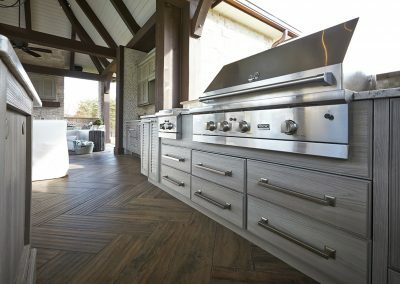 Our outdoor kitchens are installed with the latest state of the art appliances, char grills Barbecue (BBQ) and pizza oven solutions & feature practical cooking facilities, giving a touch of class to your home, patio, roof top urban garden, business development or catering event. 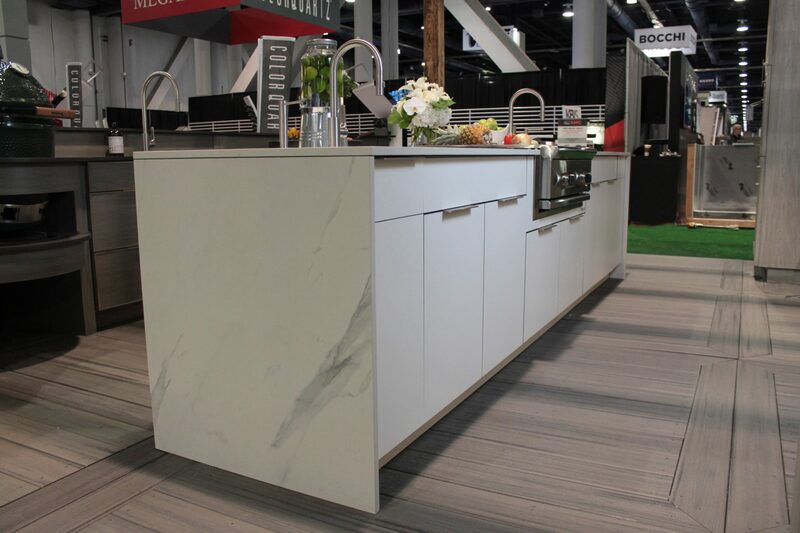 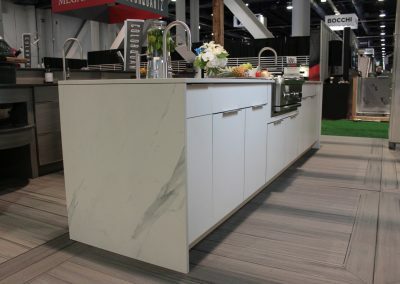 The kitchens are industry leading as the cabinetry is individually handmade to order, similar to indoor kitchens. 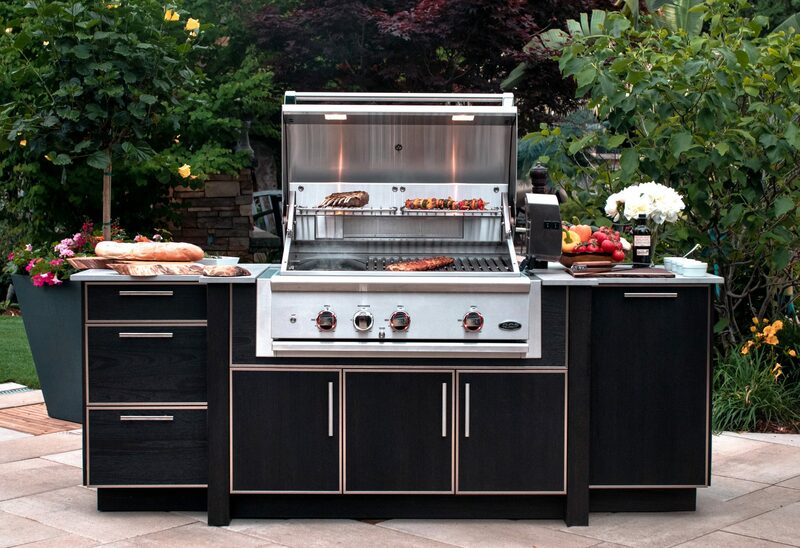 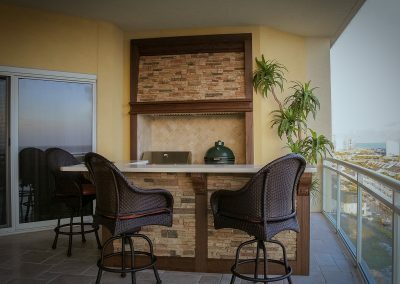 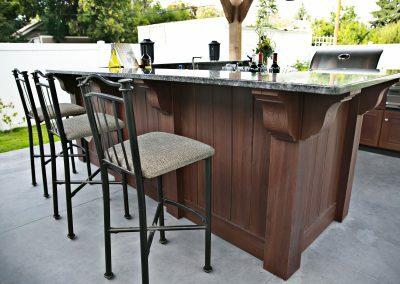 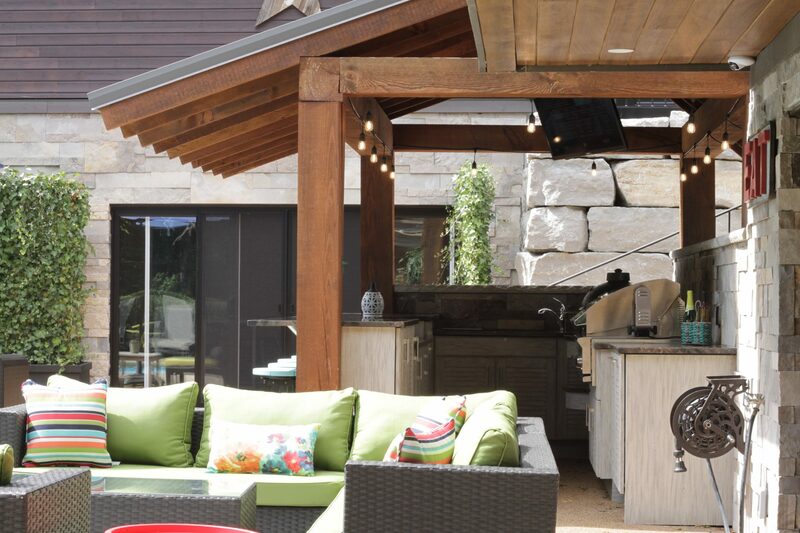 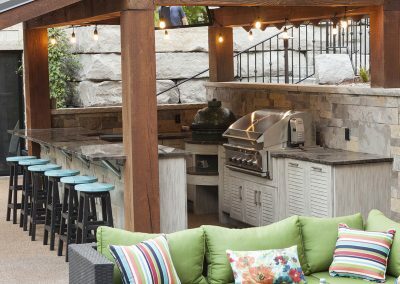 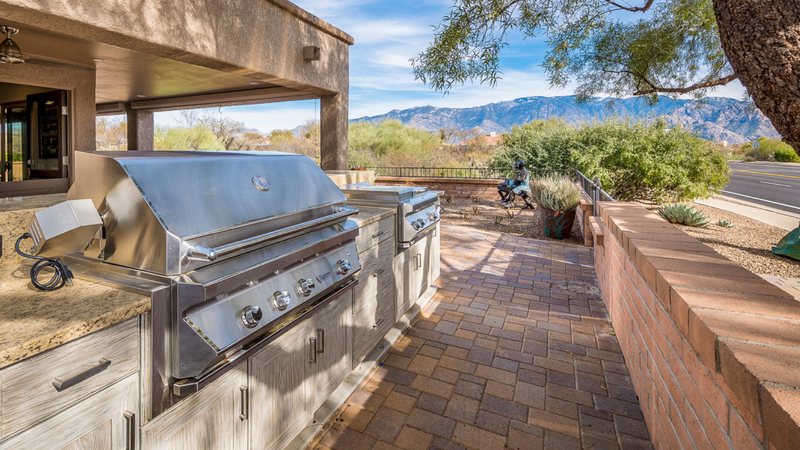 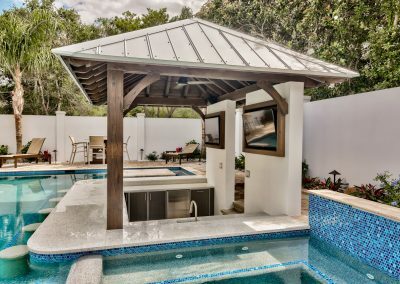 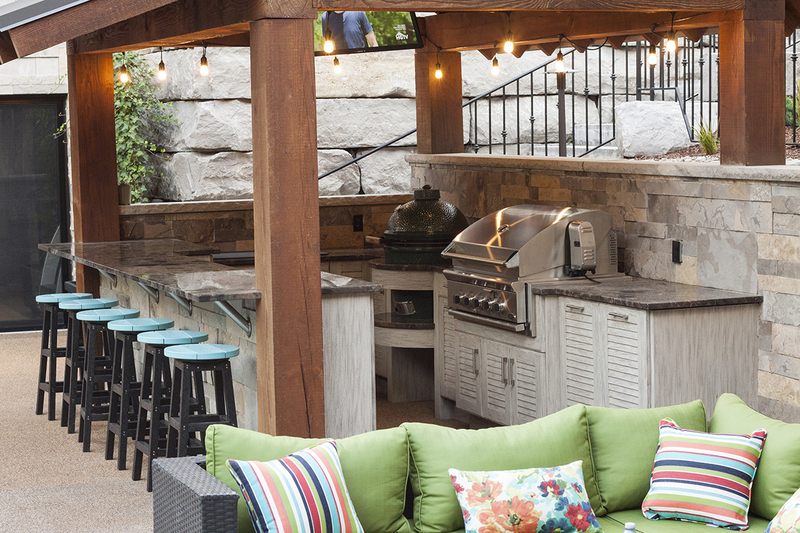 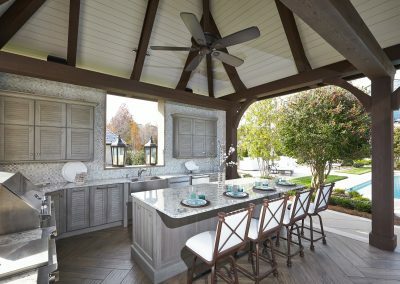 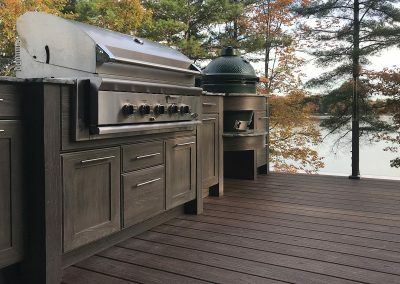 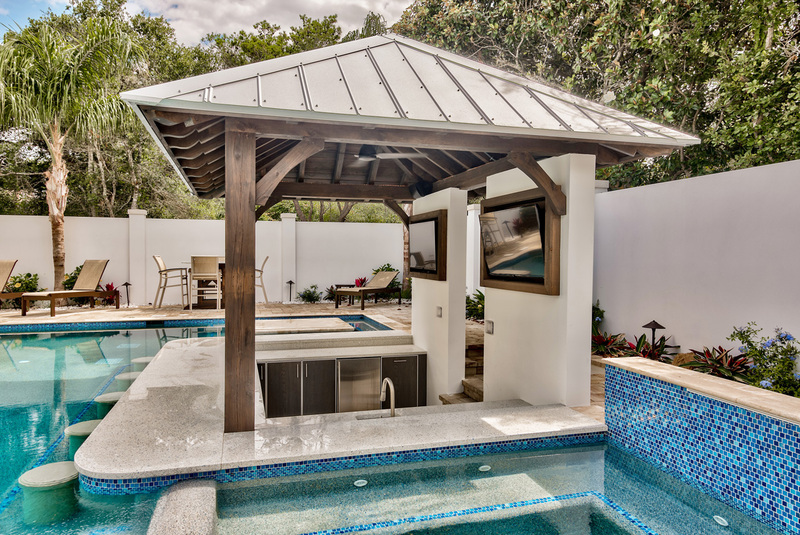 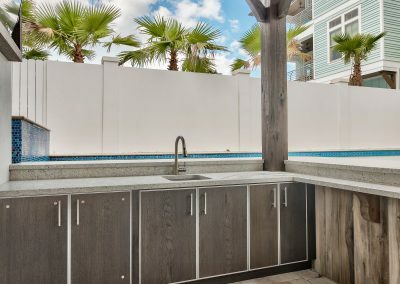 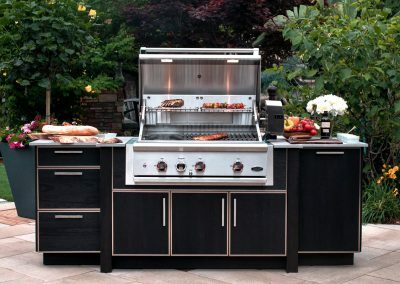 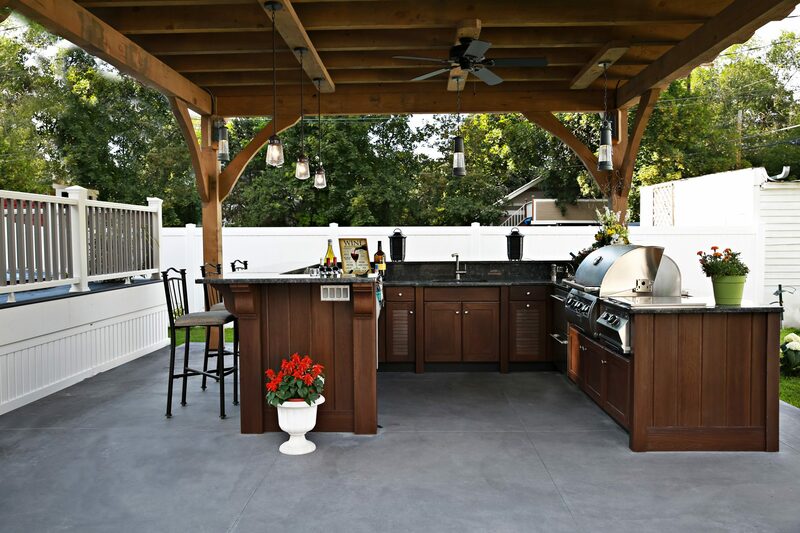 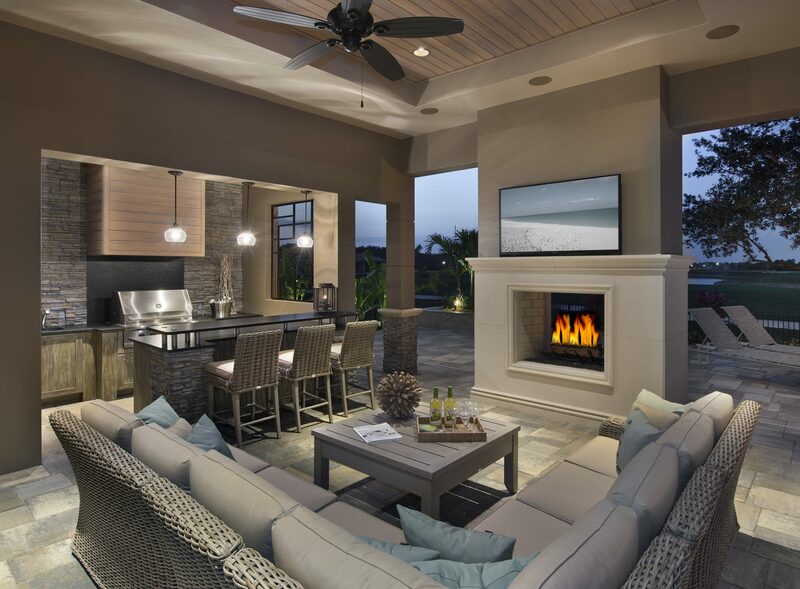 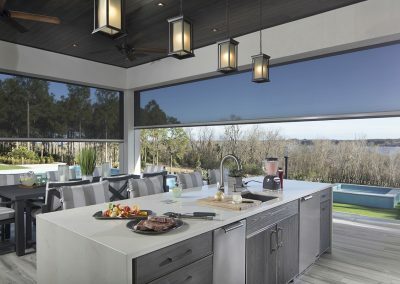 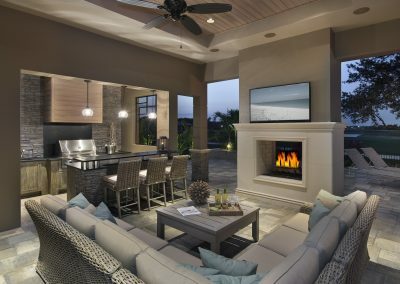 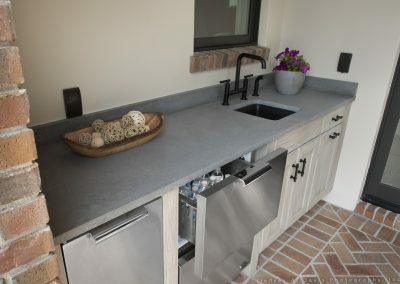 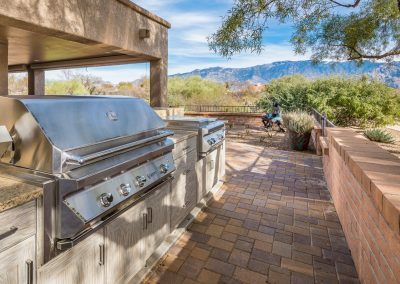 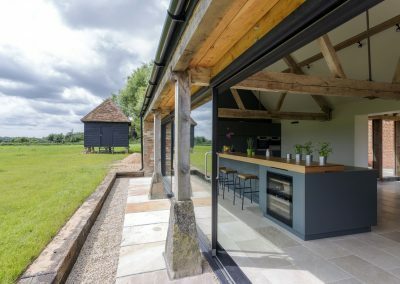 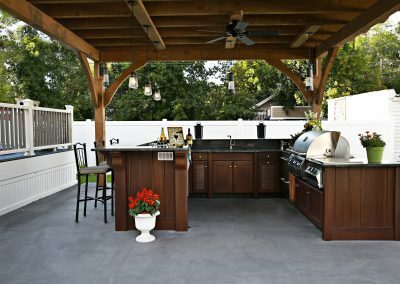 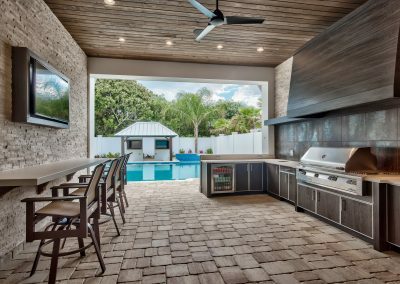 Other outdoor kitchen companies provide limited design of a fixed modular frame, or brick or concrete solutions that once installed cannot be moved. 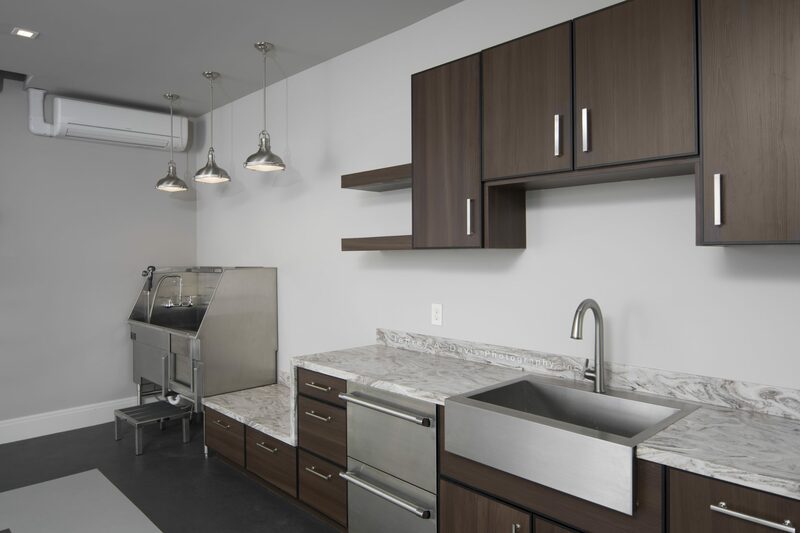 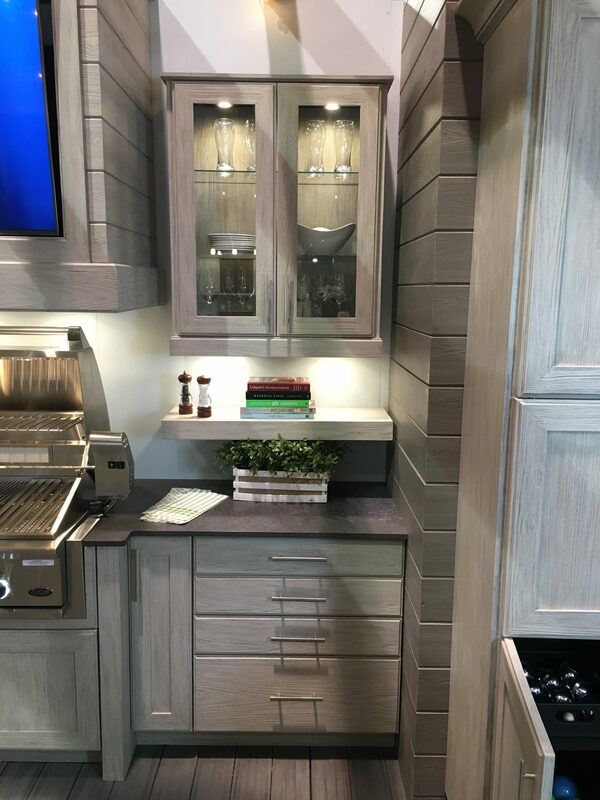 Our kitchen cabinetry can be moved, repositioned and we also create portable kitchens too. 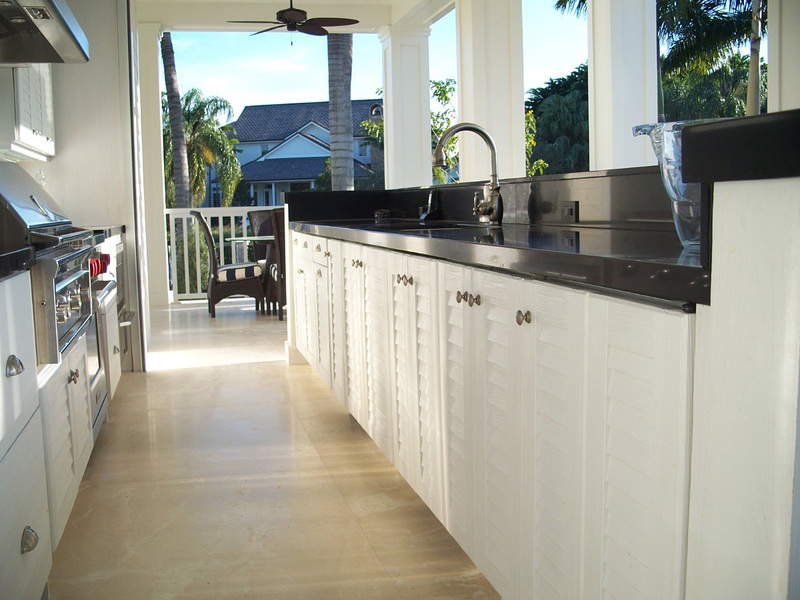 Commission door styling, painting and finishing is available, and the kitchens can also be fitted inside too. 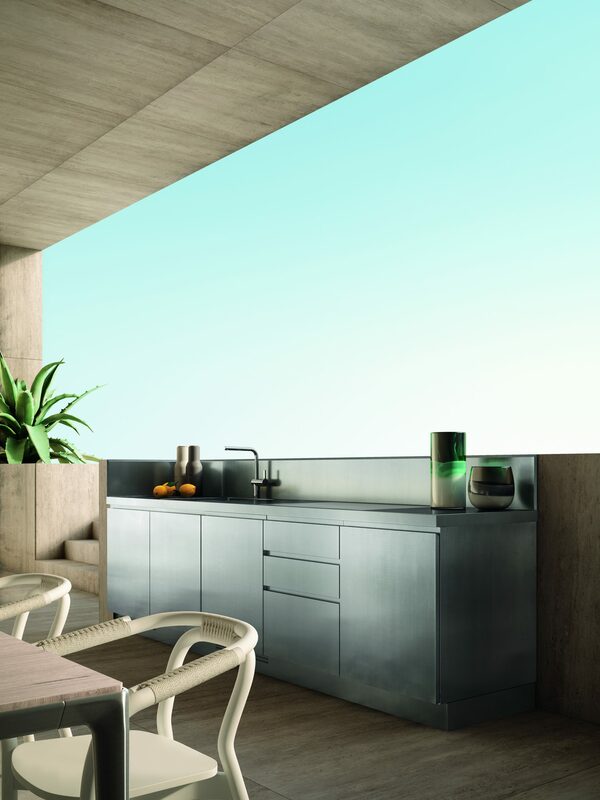 You can choose from either our patent protected High Density Resin (HDR) water resistant door fronted kitchens. 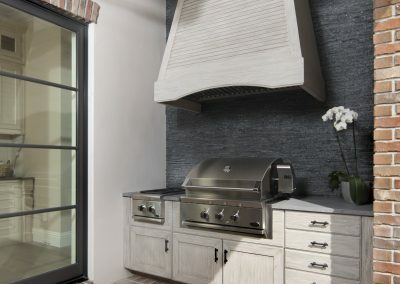 Our doors will not warp, the paint doesn’t blister. 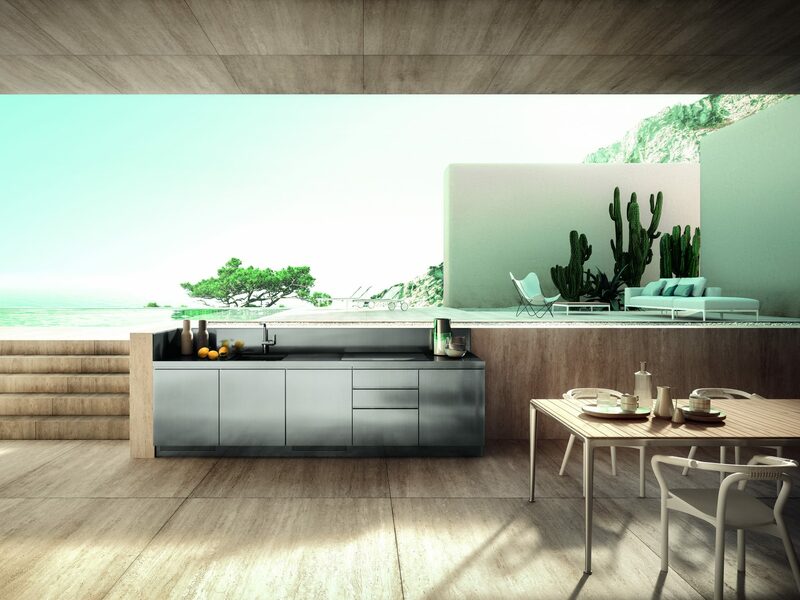 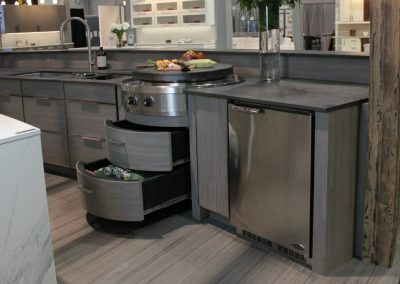 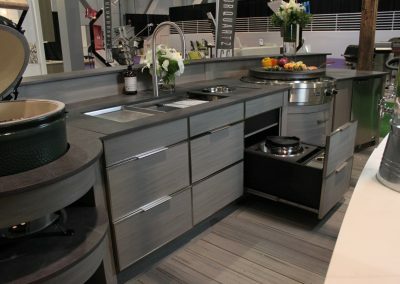 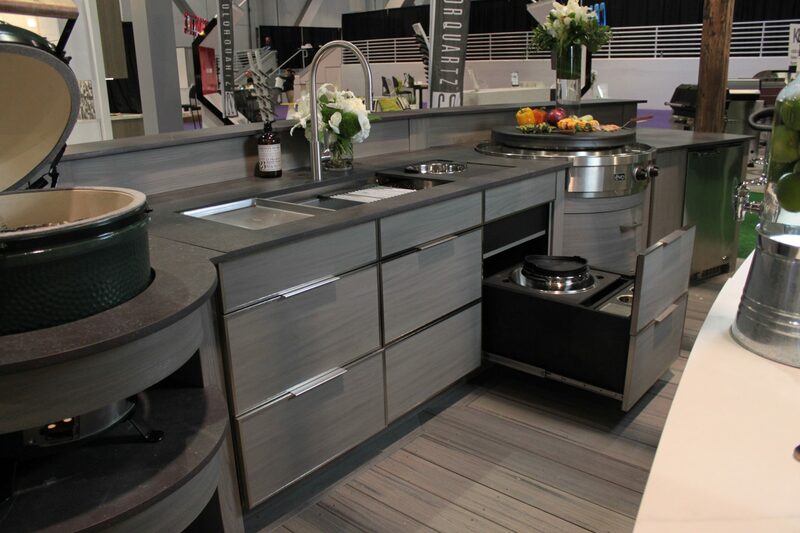 Alternatively, you can have a have a steel kitchen designed for you. 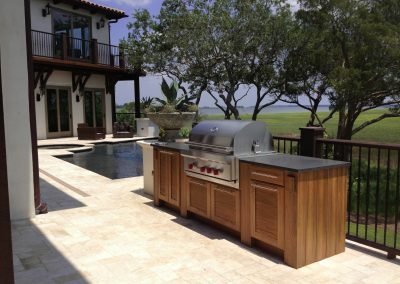 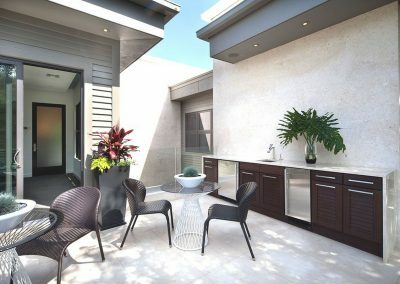 We also create or refurbish existing patios, roof top gardens and design & install canopies that are complemented by our outdoor kitchens. 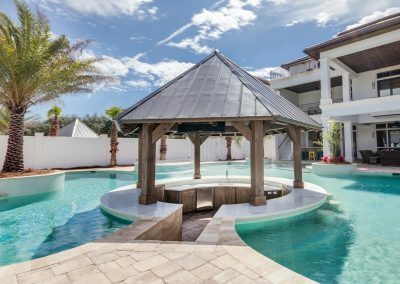 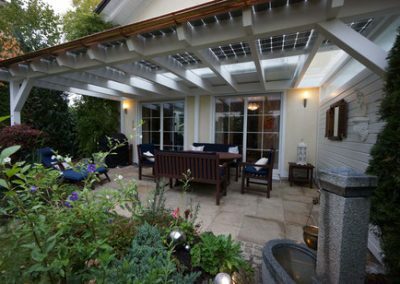 Our bespoke building & installation service will construct your patio, canopy, veranda or pergola to give you all year-round weather and sun protection. 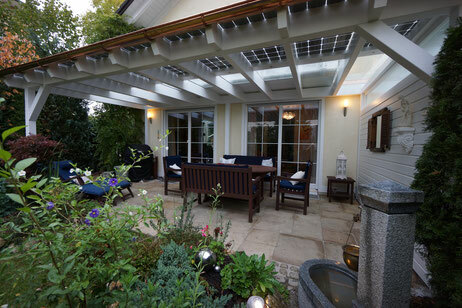 Please refer to our building and exterior design & solar heating and energy sections of this website for these solutions and for adding outdoor heating and solar PV glass solutions. 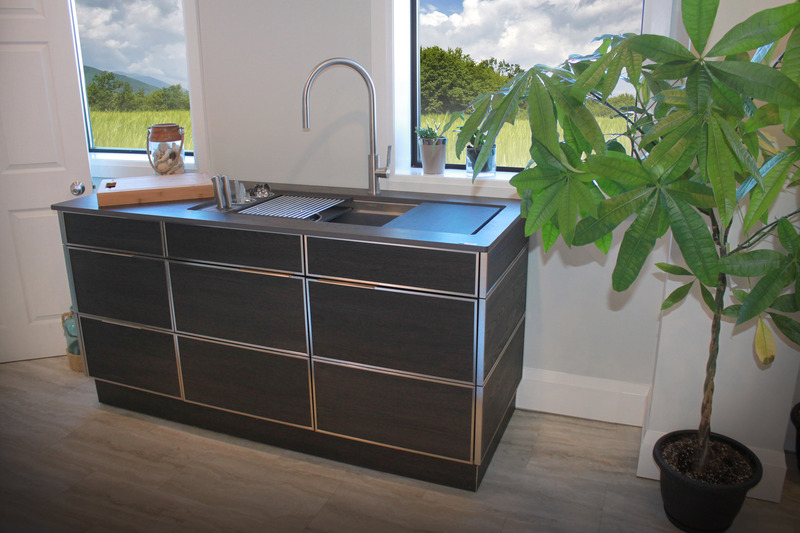 The Testing Of Wood After Soaking In Water Reveals Major Absorption But Our HDR Material ( Right Image) Remains Water Resistant. 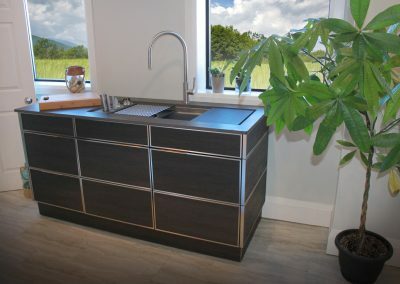 Water Testing Reveals No Warping Of Our HDR Kitchen Material. 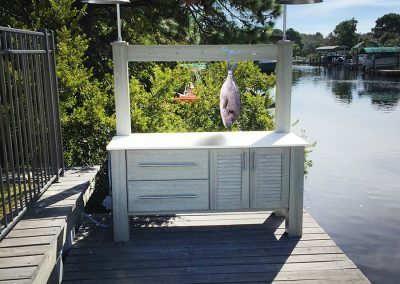 Fish tank Test Of Our HDR Kitchen Doors. 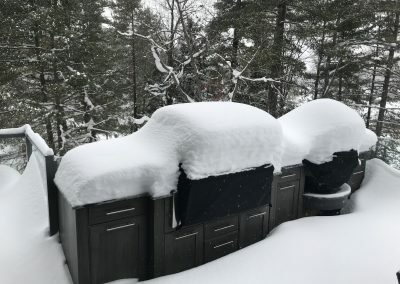 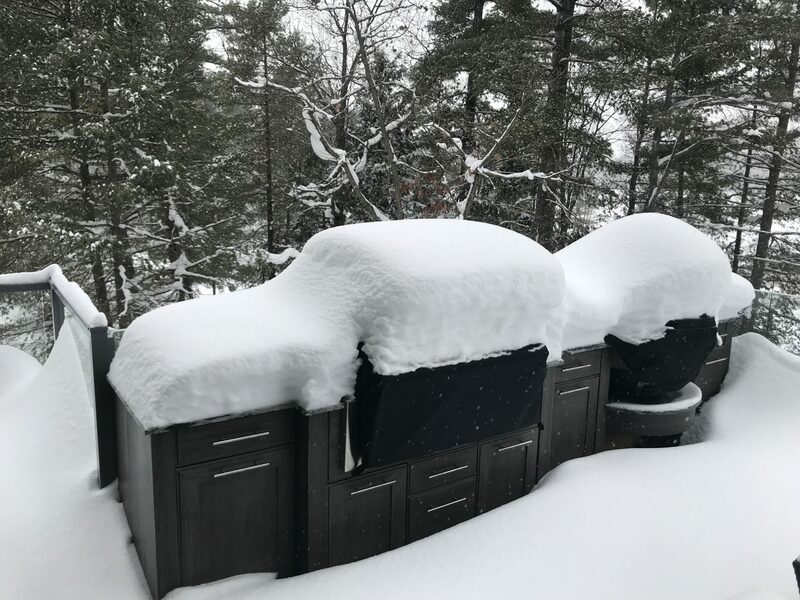 Our Kitchens Withstand Extreme Weather Conditions. 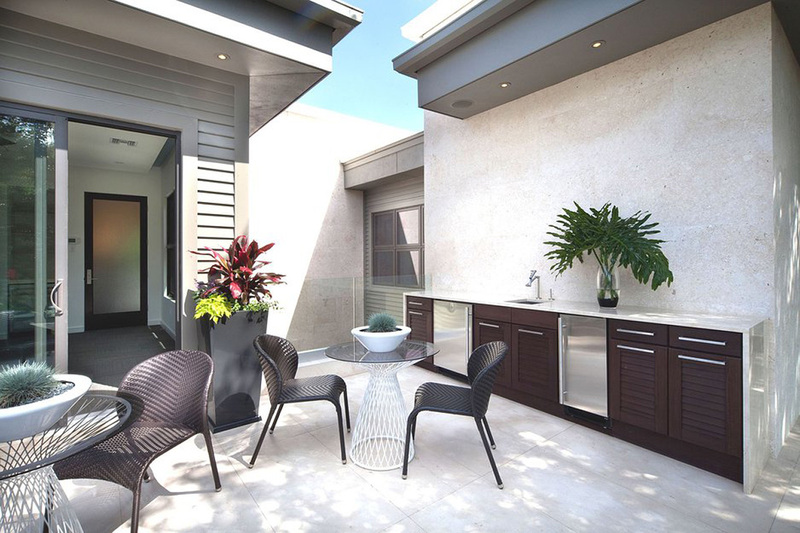 Patio Kitchen in Carbon Grey, Lakeside. Close Up Of Pull Out Kitchen Storage In Silver Birch Finish. 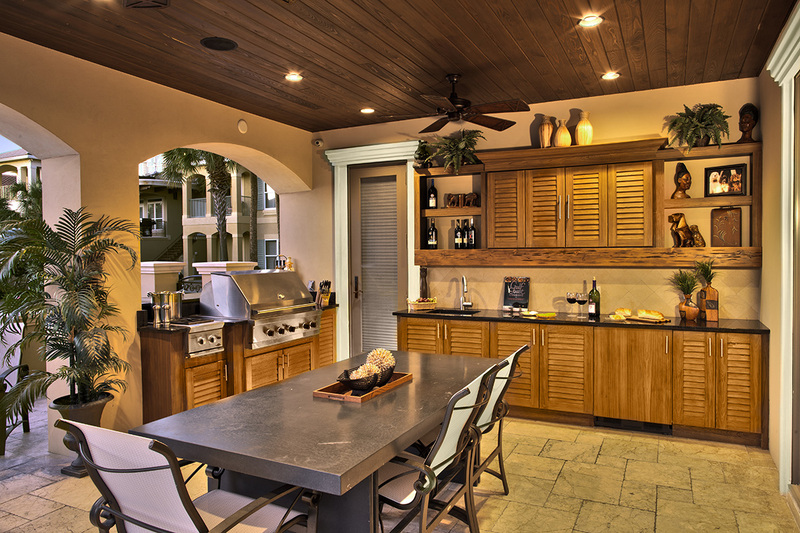 Holiday Patio Kitchen In Warm Timber. 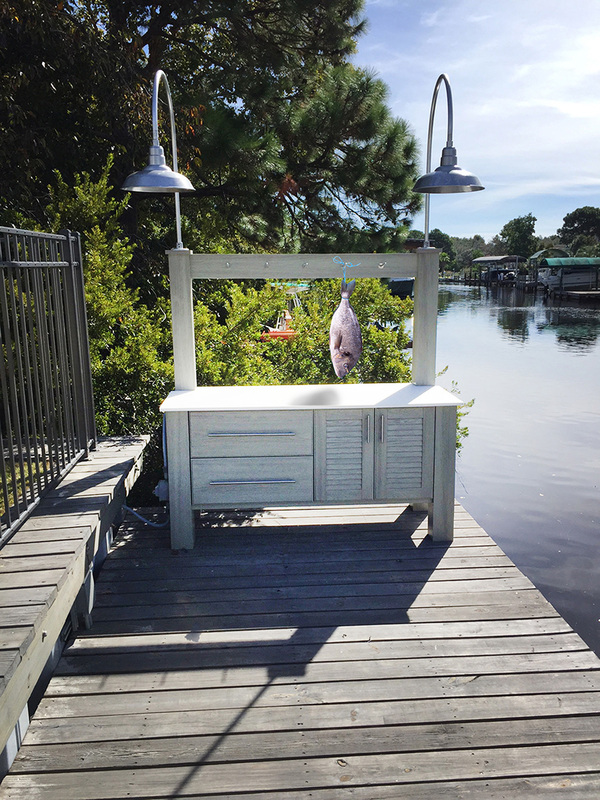 Patio Fishing Prep Unit In Birch Silver. 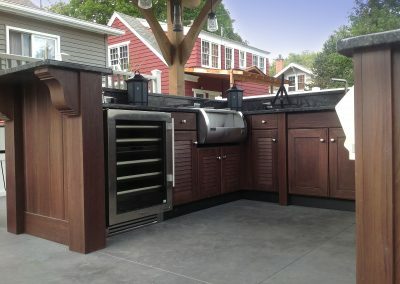 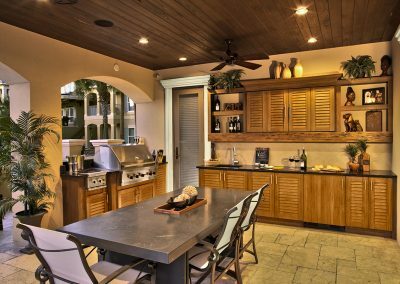 Light Drift Wood Patio Kitchen & Storage With Char Grill & Extractor. 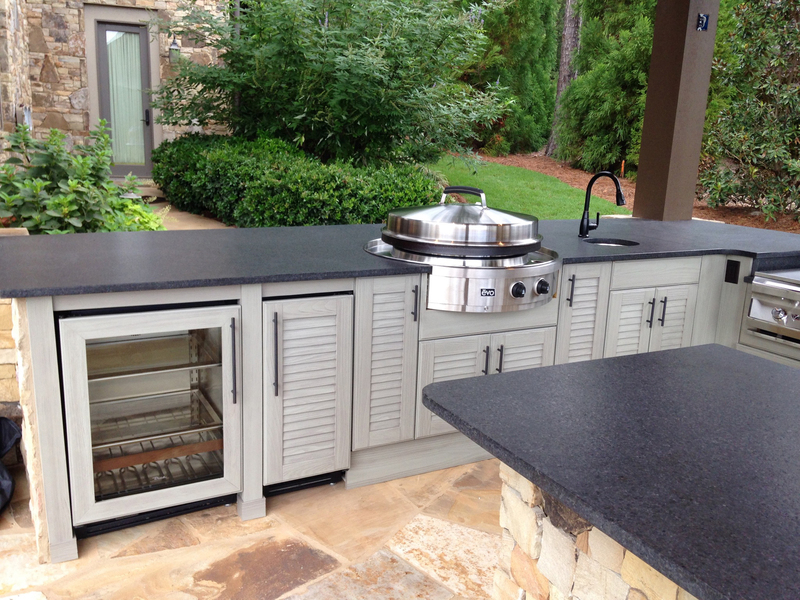 Patio Kitchen in Louvre White Finish. Front Run Of Patio Kitchen in Louvre White. 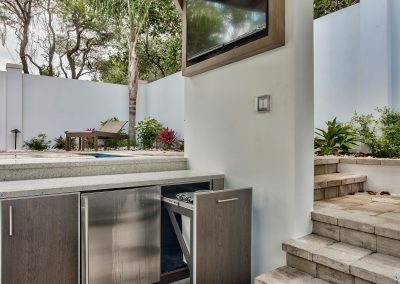 Patio Kitchen In Silver Birch. 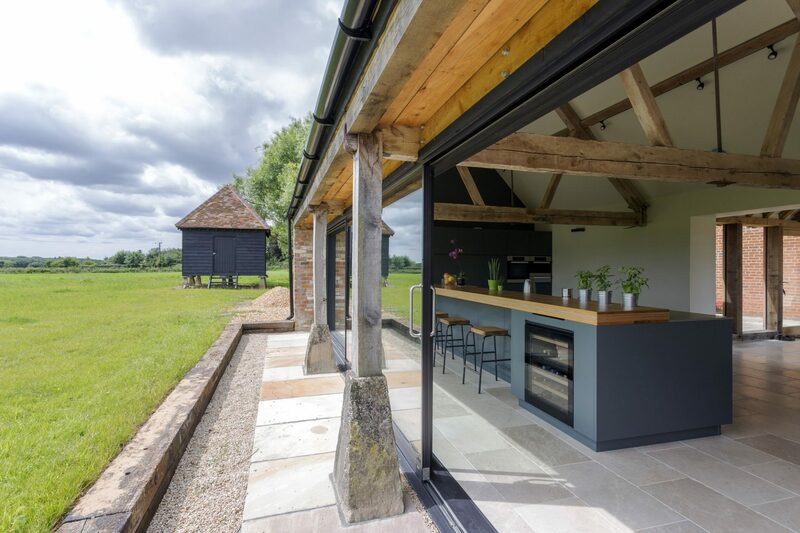 Patio Kitchen in Dark Slate Grey With Extraction, Rustic Wall Tiling & Interior Finishing. 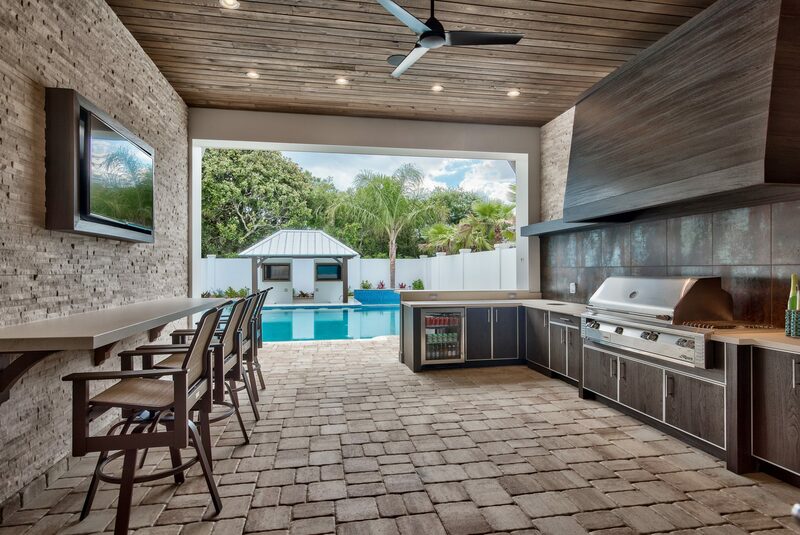 Pool View With Dark Slate Kitchen. 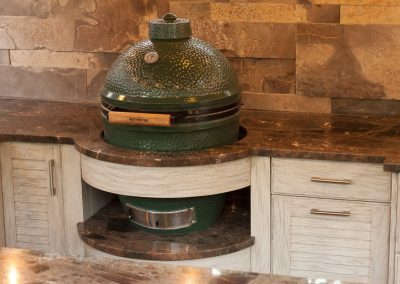 Outdoor Kitchen Ceramic Egg, Partially Integrated For Faster Cooking times For Chargrill, Baking & Smoking. 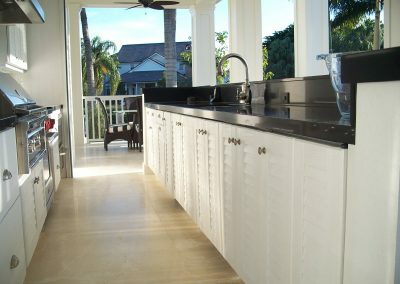 Residential Private Pool Kitchen Client Project. 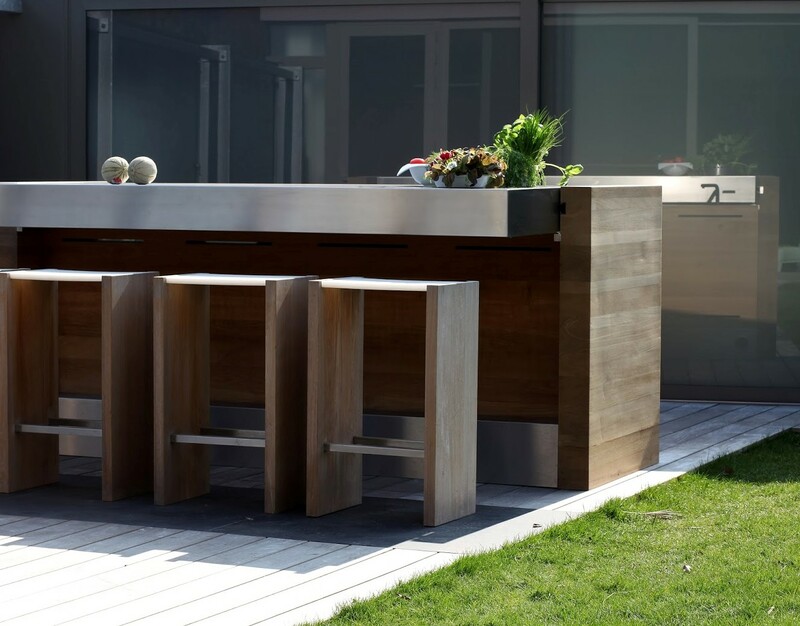 Our Custom Build Outdoor Kitchens Can Be Designed To Your Exact Specification. 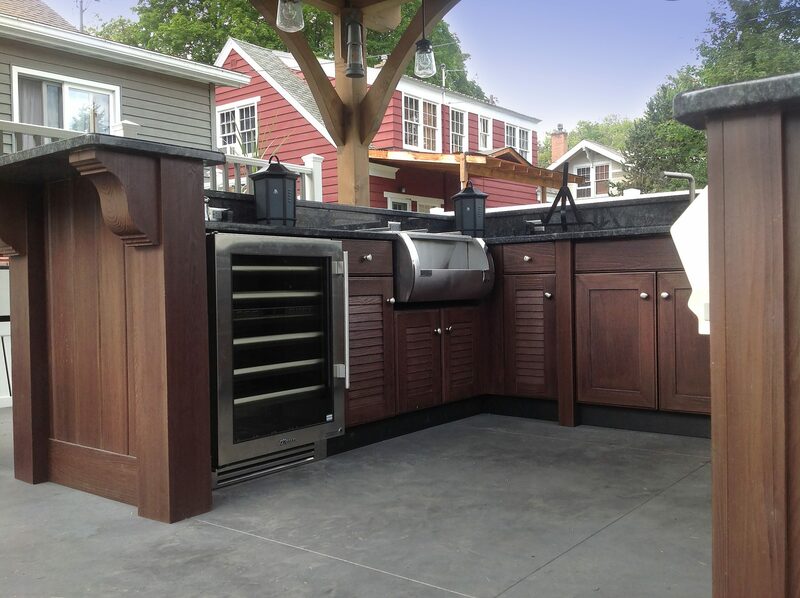 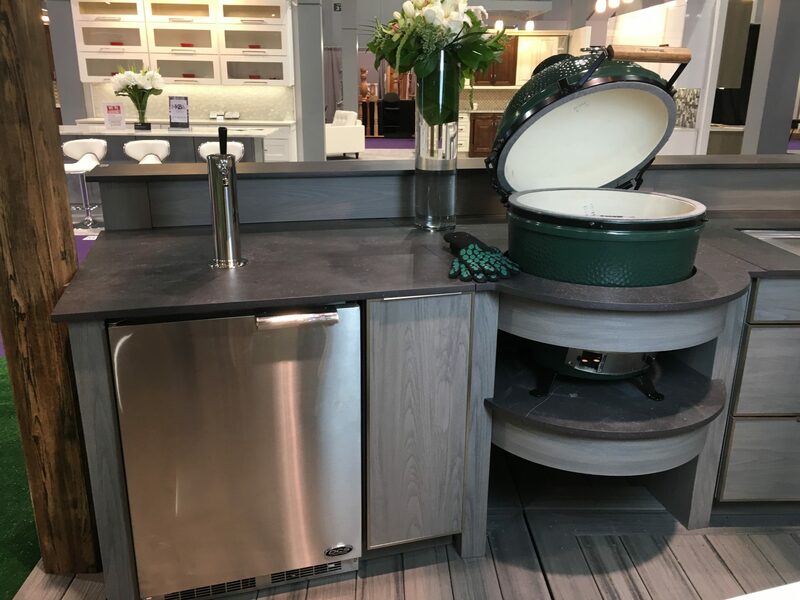 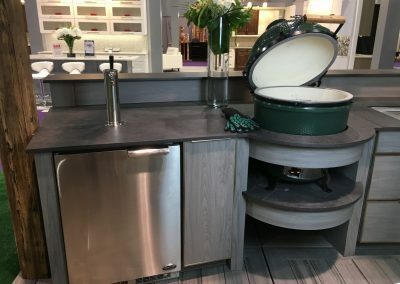 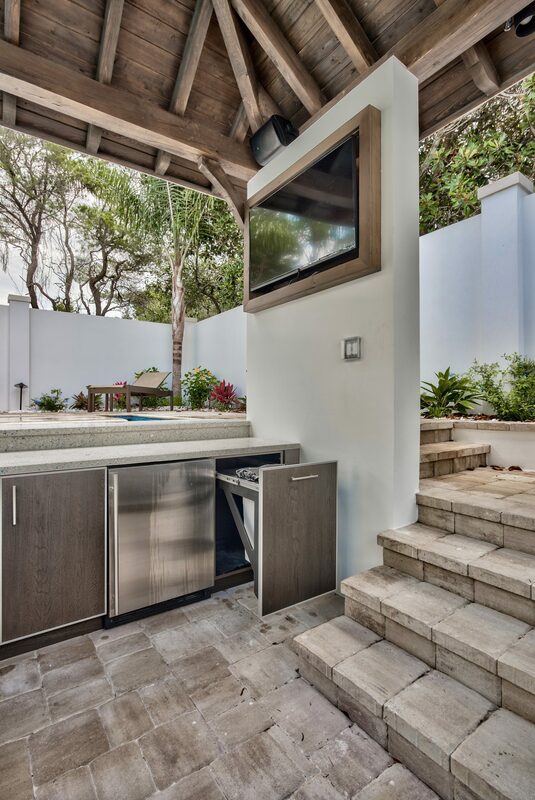 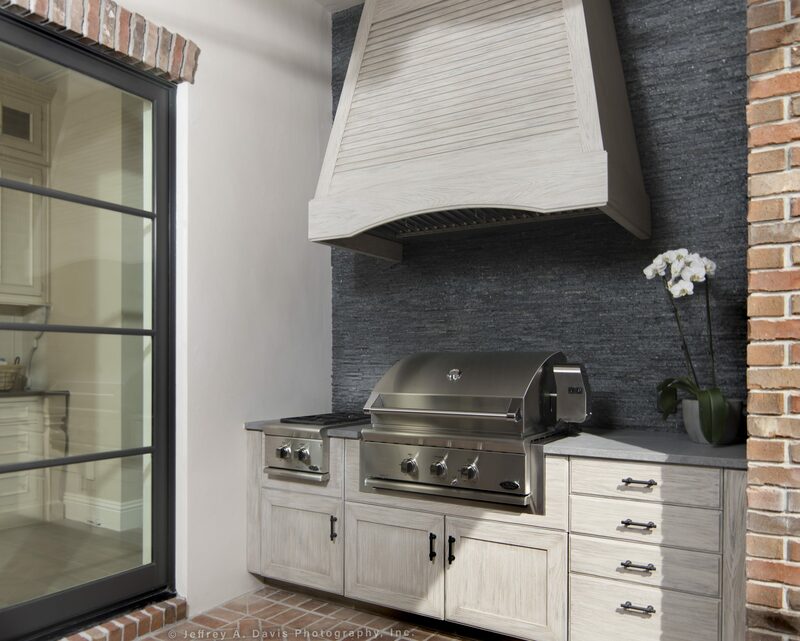 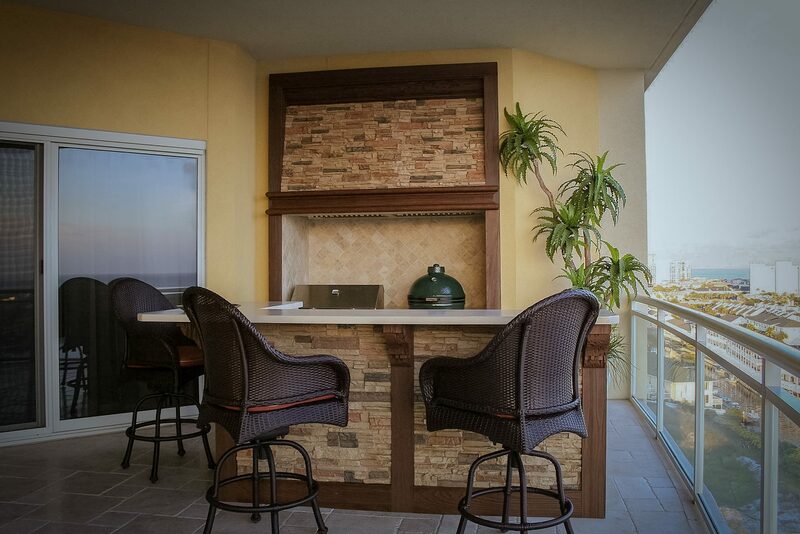 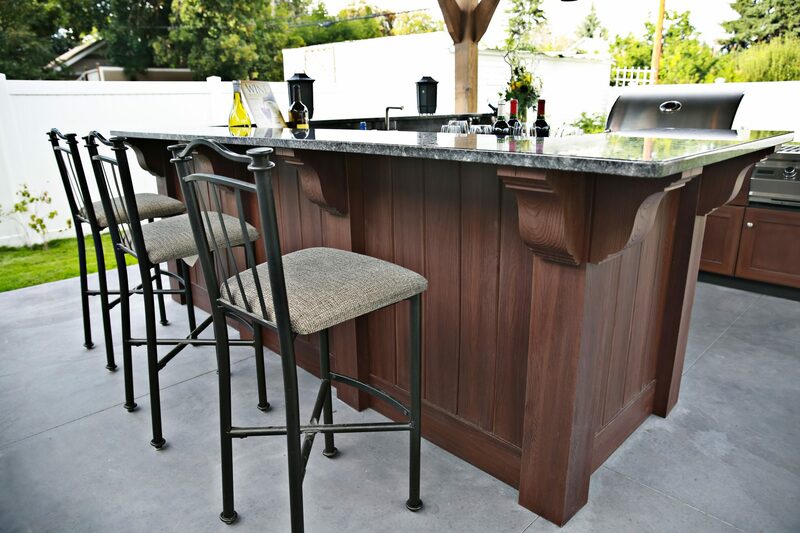 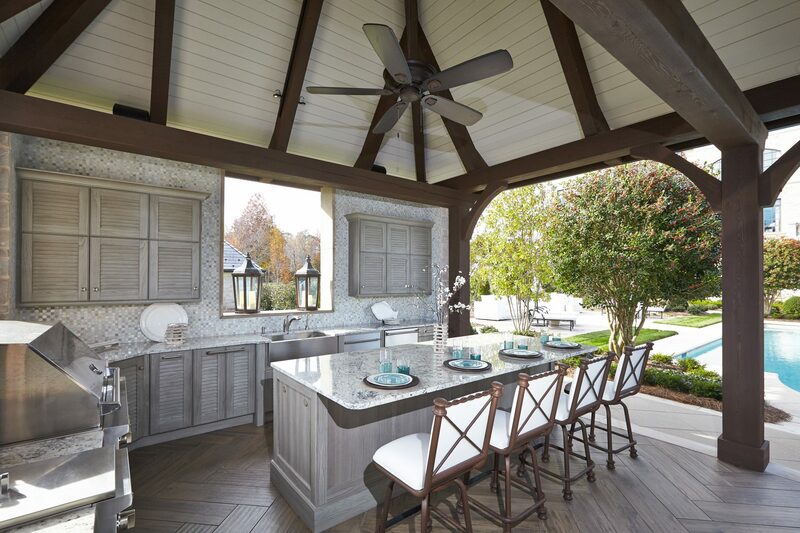 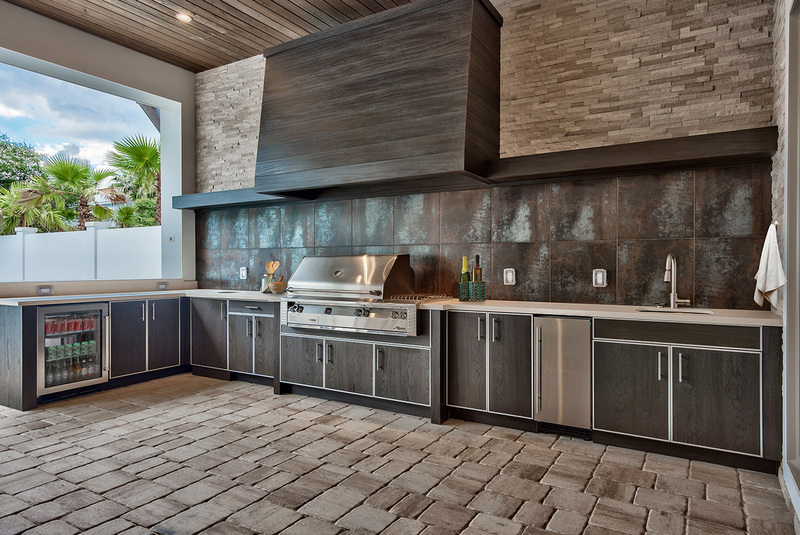 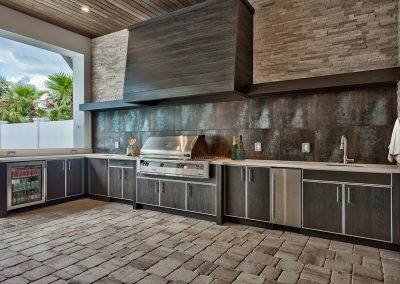 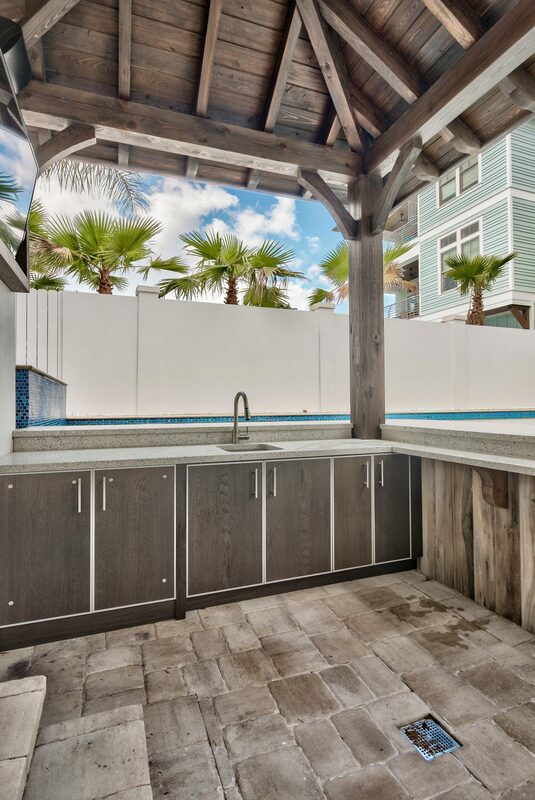 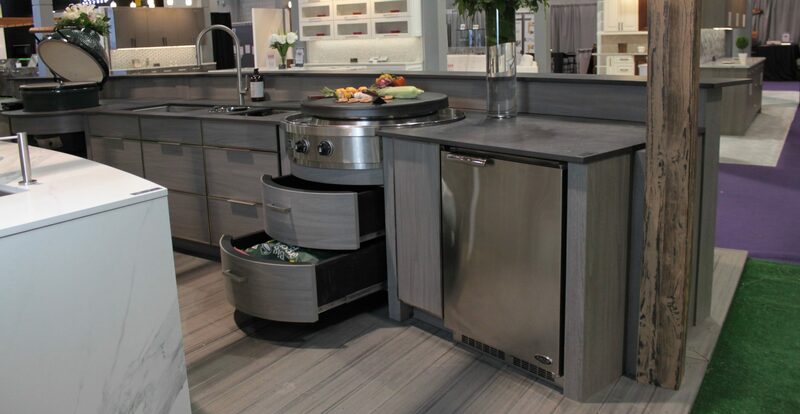 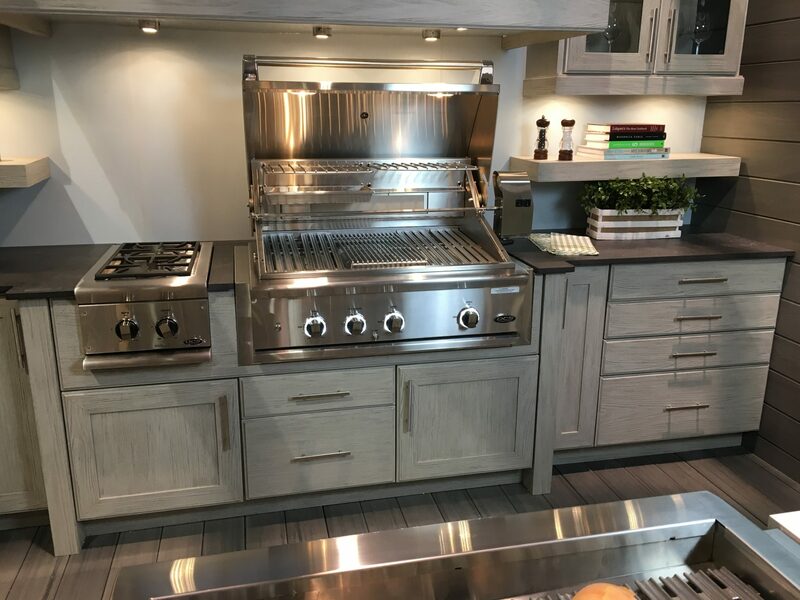 Our Designer Grill Kitchen Is A Must Have For The Garden Or Patio. 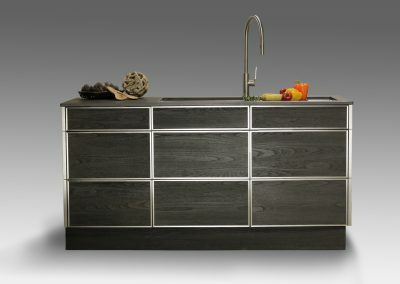 Toned Birch & Light Grey Island Kitchen Design Project. 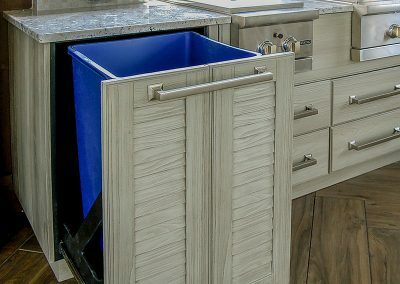 Curved Ceramic Grill Cabinet With Drawers Open. 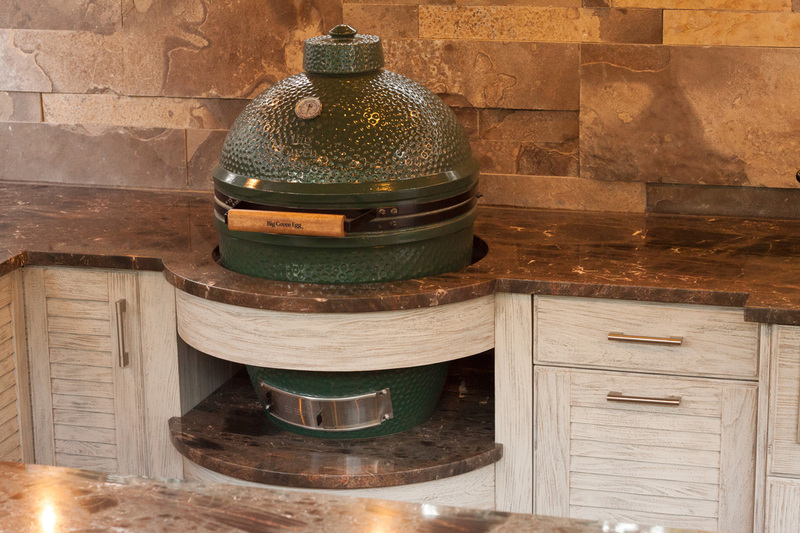 Curved Ceramic ‘Egg’ Grill With Light Grey Cabinetry. 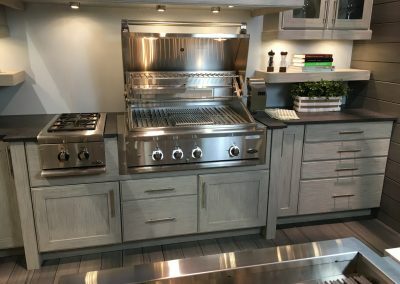 Light Grey Kitchen With Char Grill & Side Burner. 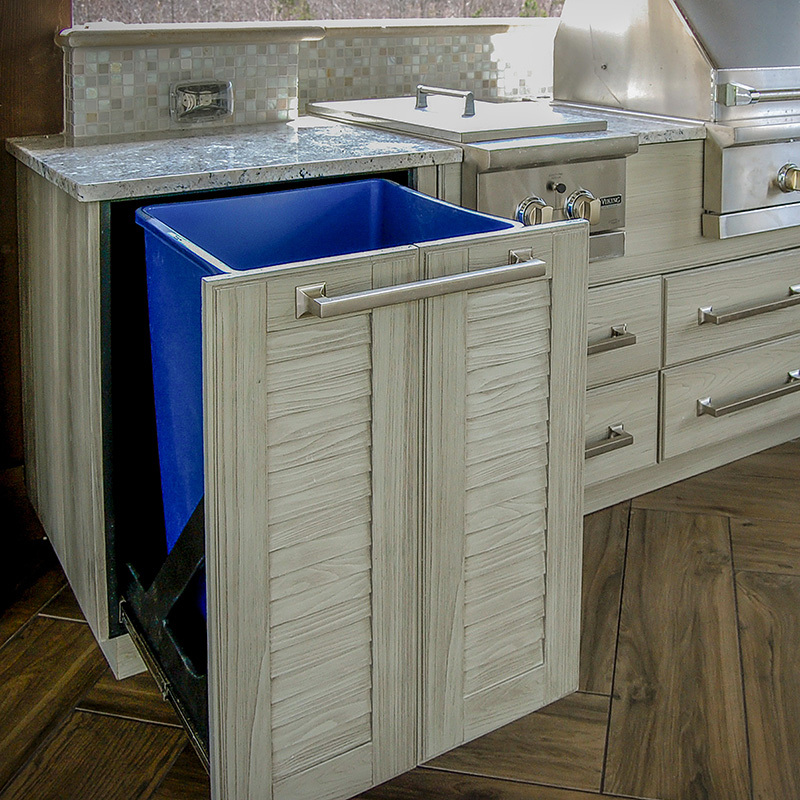 This Dog Bathing Station Was Created With Emphasis On Ease Of Use and Easy Hygiene Control. 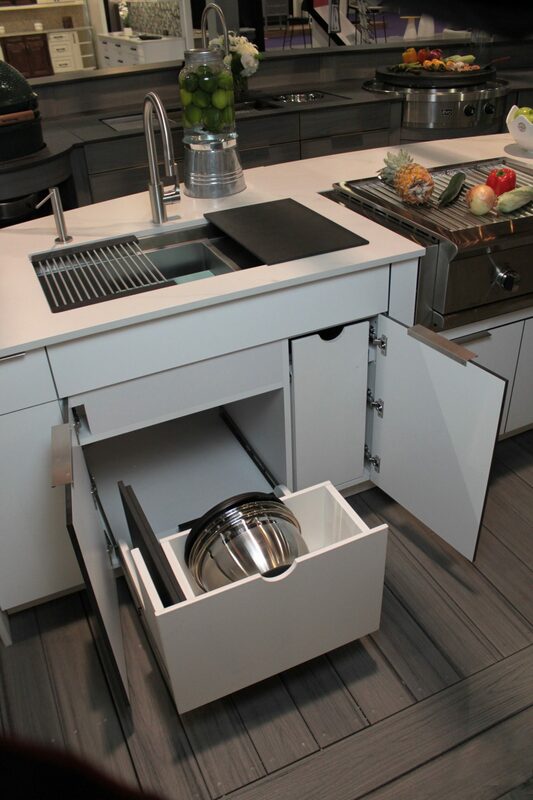 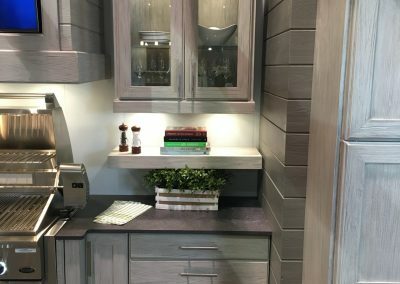 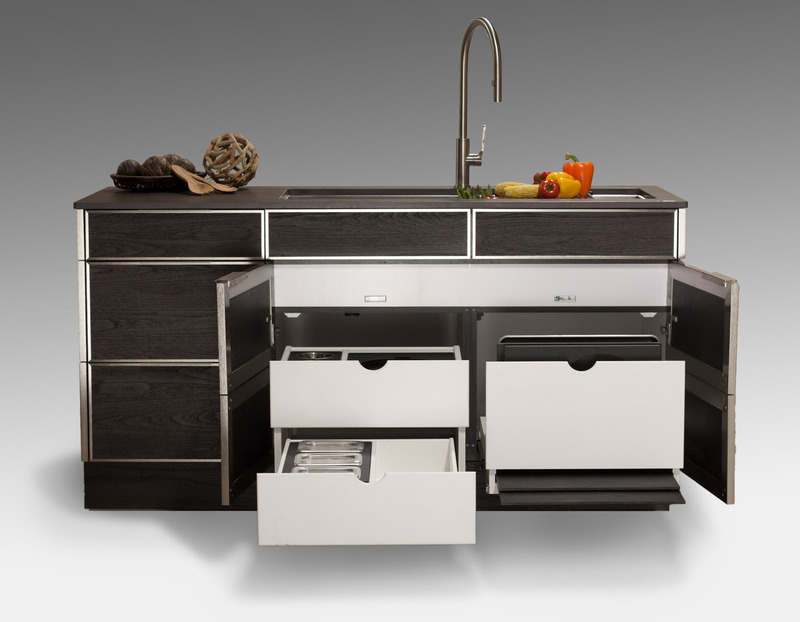 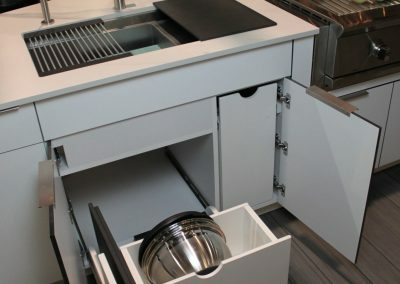 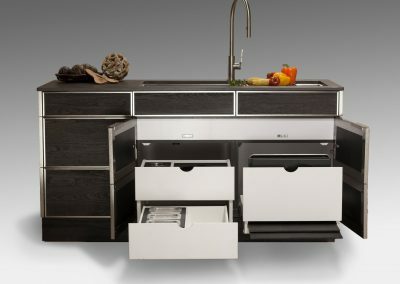 Mini Kitchen Design For Small Spaces. 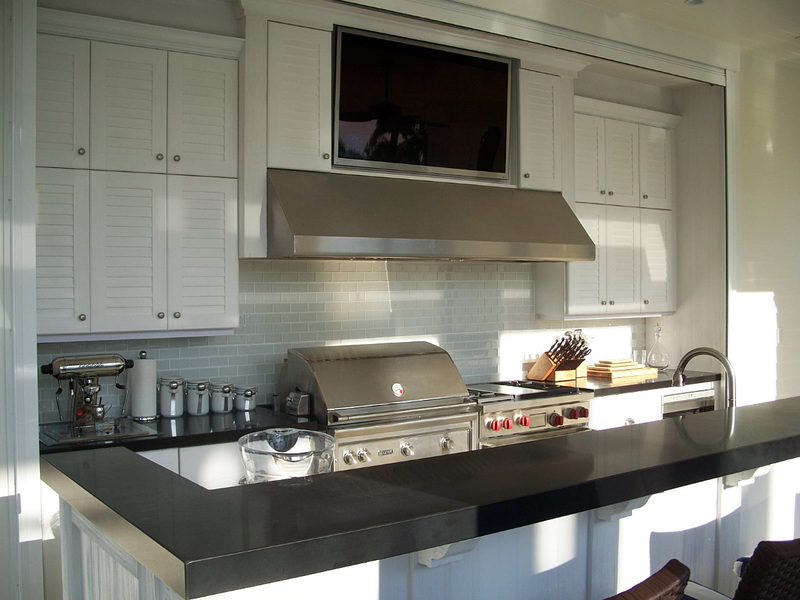 Traditional Over Head Extraction System To Match Grill Burner Kitchen. 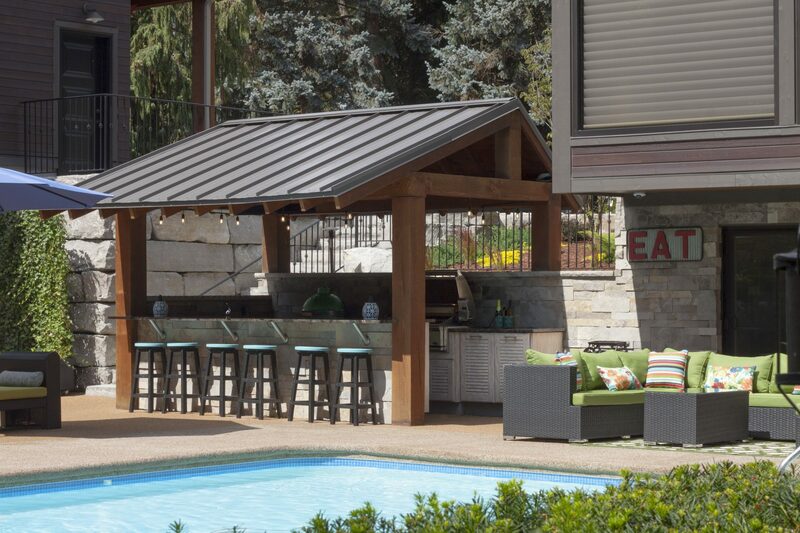 Bar & Grill Kitchen Under Canopy. 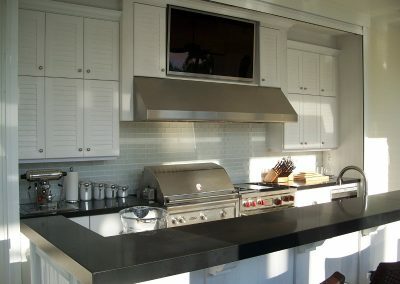 Mini Grill Kitchen With Stone Panelling Design. 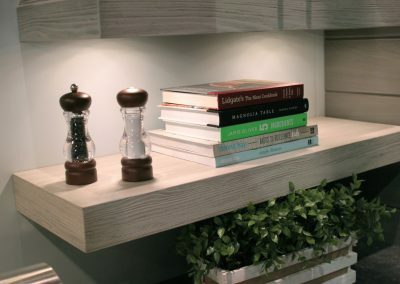 HDR Wall Cabinets & Floating Shelf. 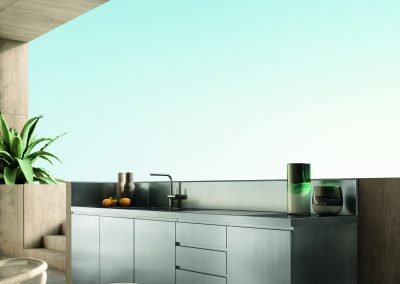 HDR Water Resistant Foatling Shelf. 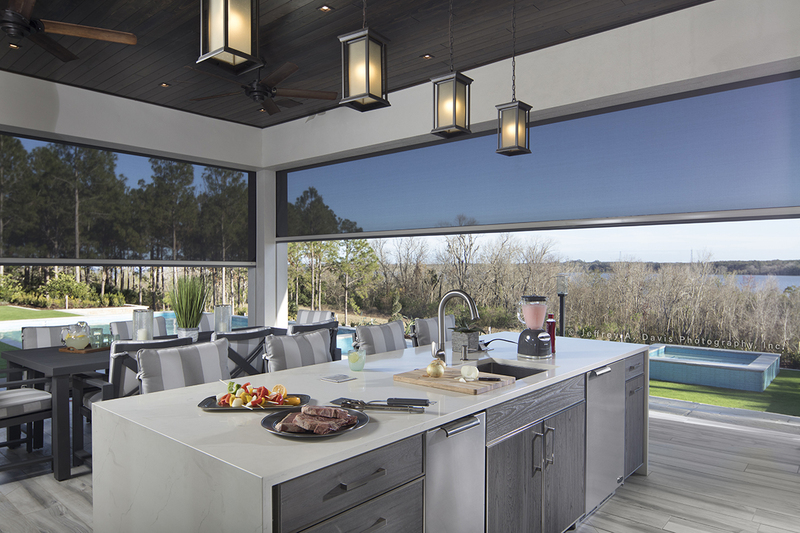 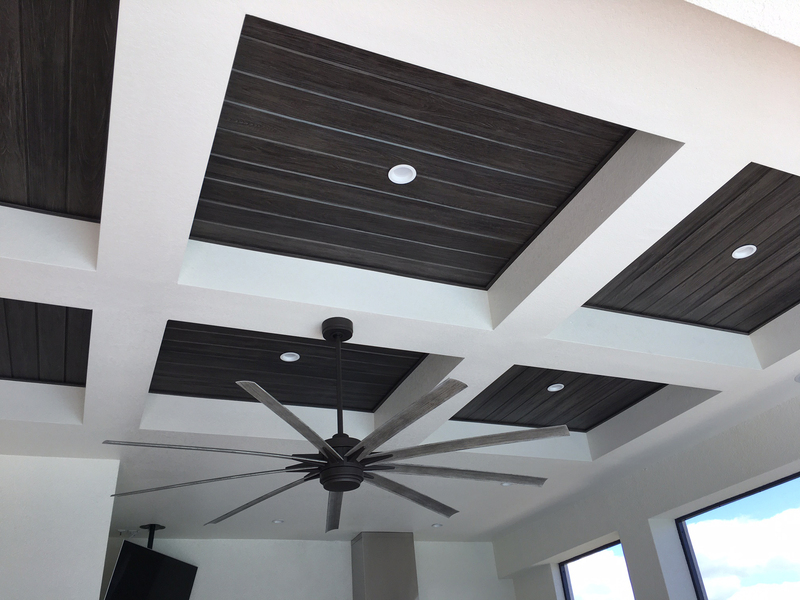 Our Weatherproof HDR Ceiling Cladding Is Available For Canopy Design Above Your Patio Kitchen & It Can Also Be Designed For Room Ceilings. 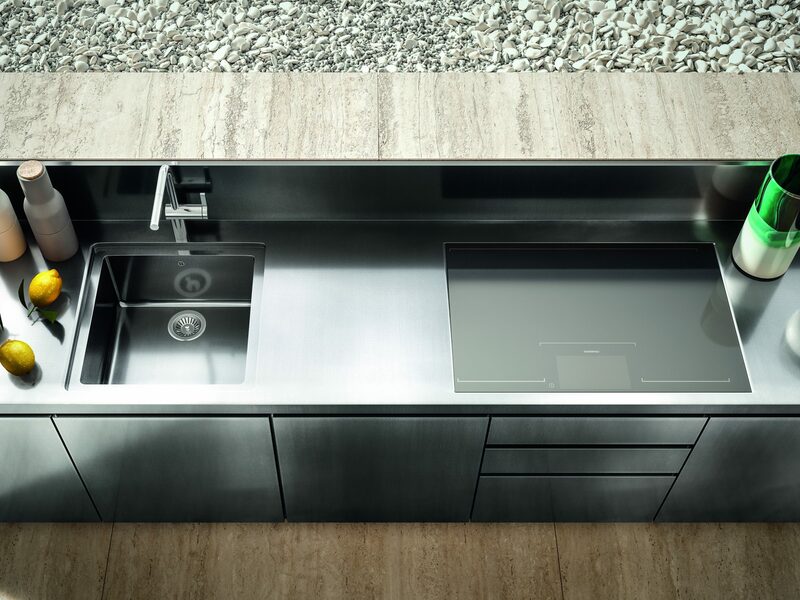 Worktop Birds Eye View Of Stainless Steel Patio Kitchen. 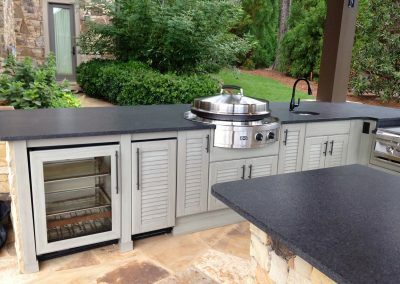 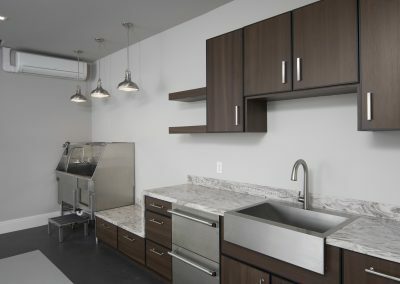 Stainless Steel Patio Kitchen Project. 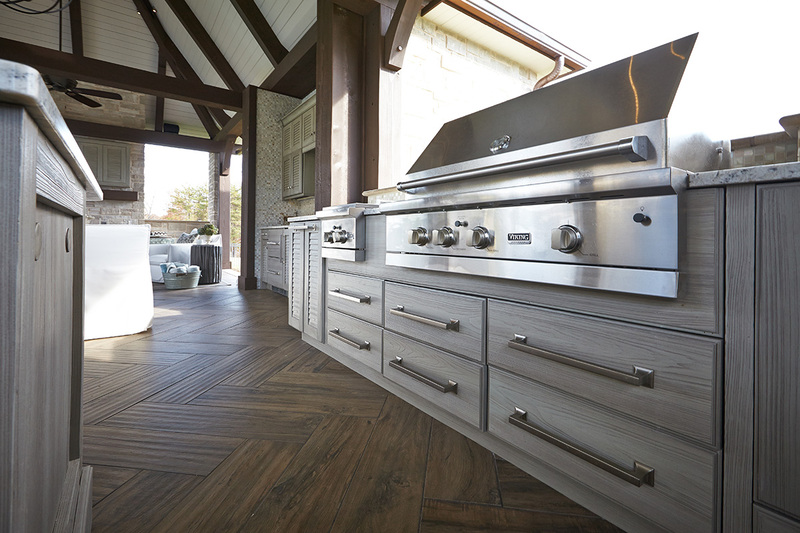 Angle View Of Patio Steel Kitchen. Outdoor Kitchen Timber & Steel Design. 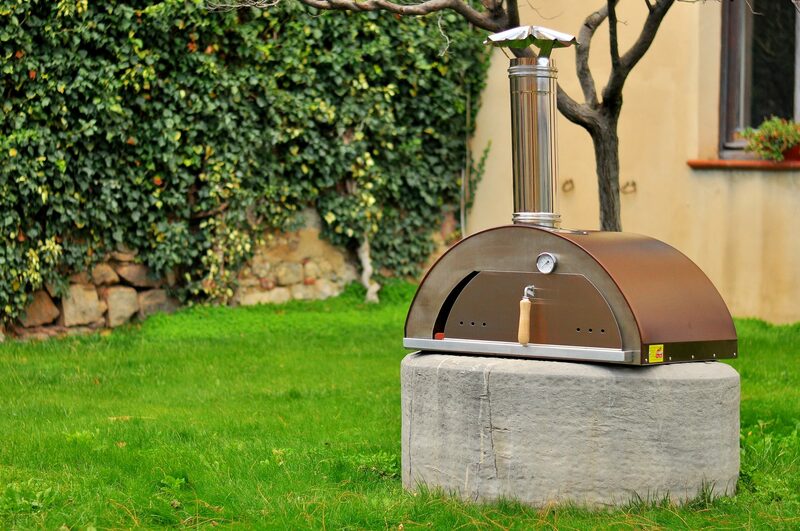 Traditional Italian Pizza Oven Cooking At Its Best. 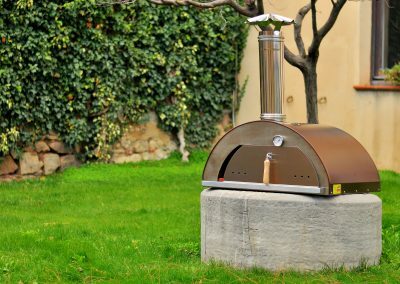 Optional Stand Alone Pizza Oven Design. 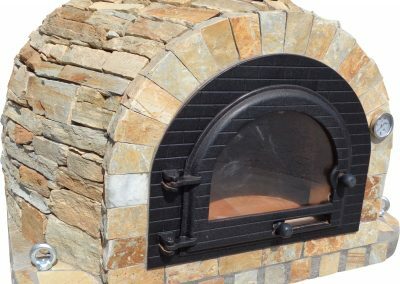 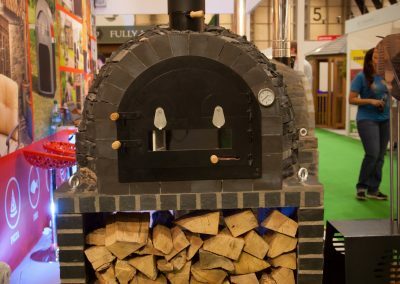 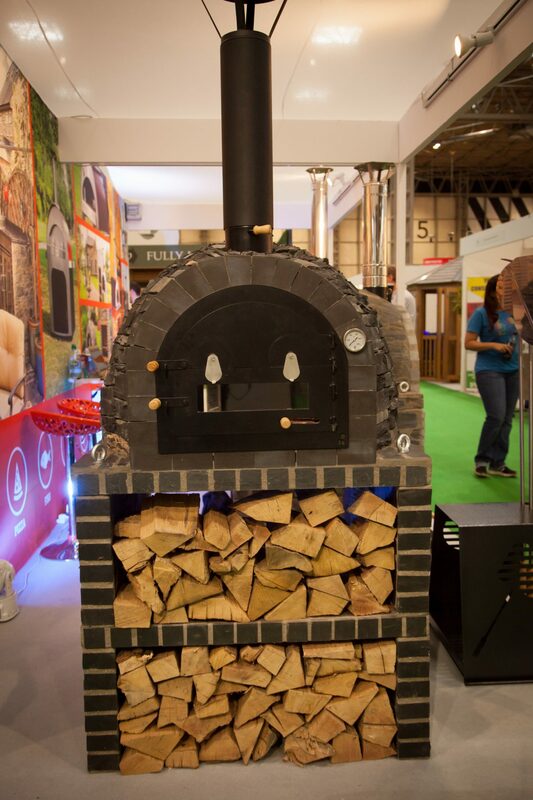 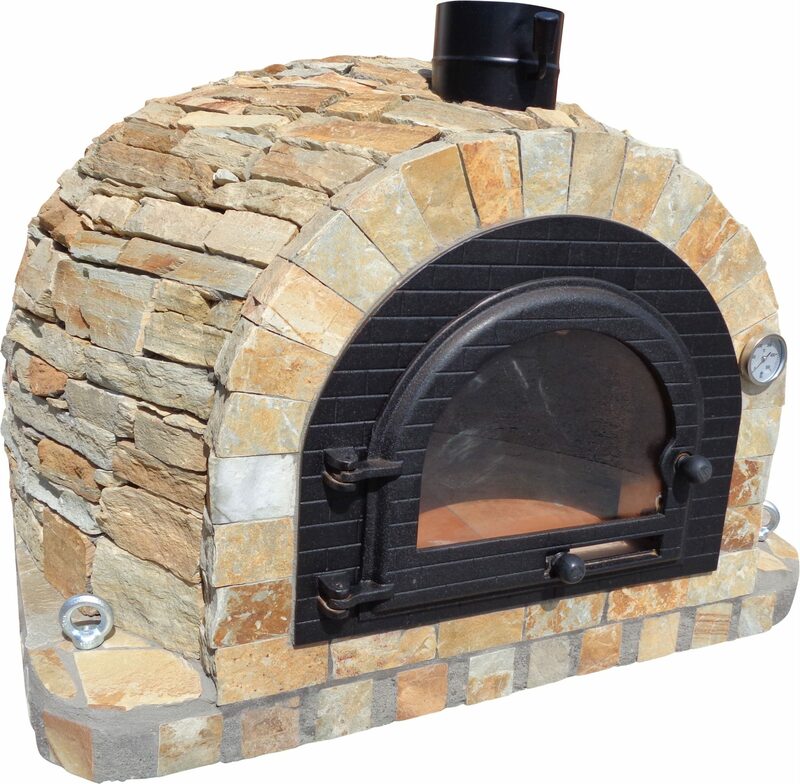 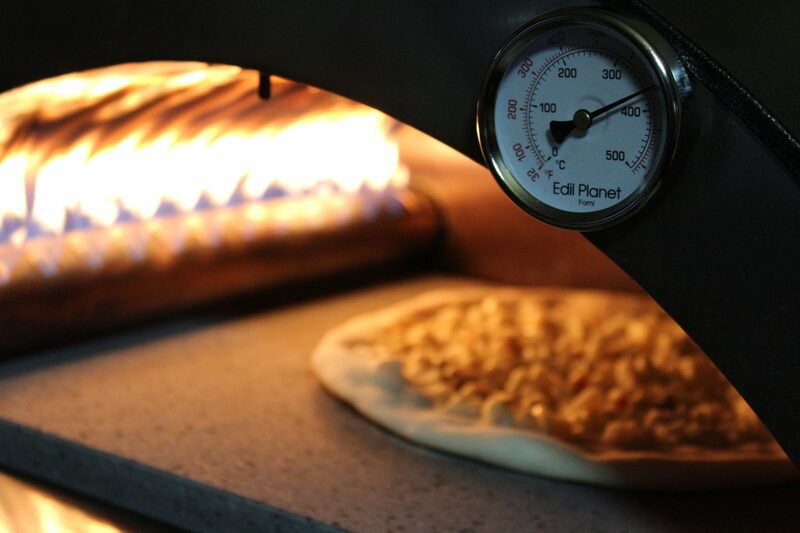 Our Pizza Ovens Are Available In Different Finishes to Colour Coordinate With Your Patio Kitchen. 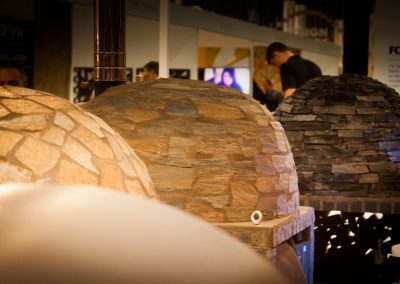 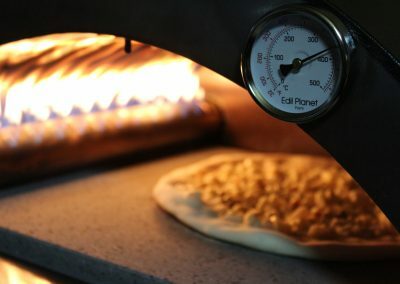 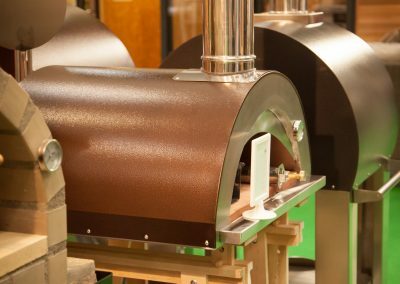 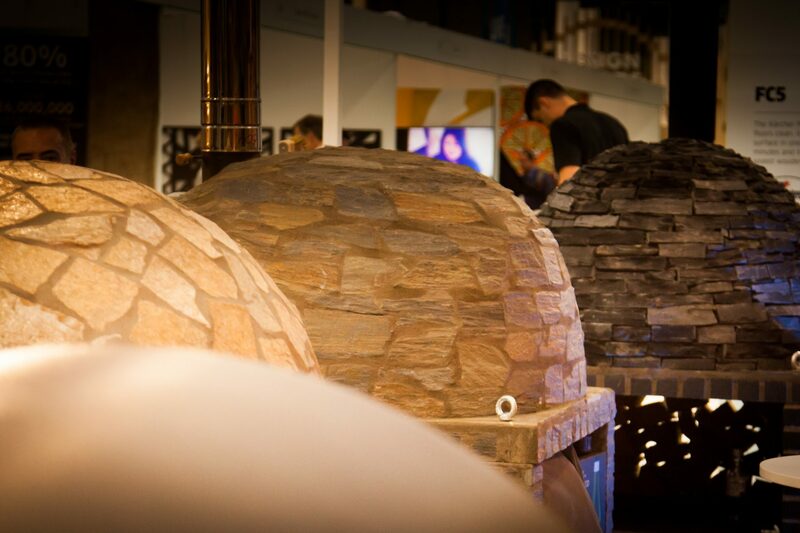 Examples Of Copper & Char Black Pizza Ovens. 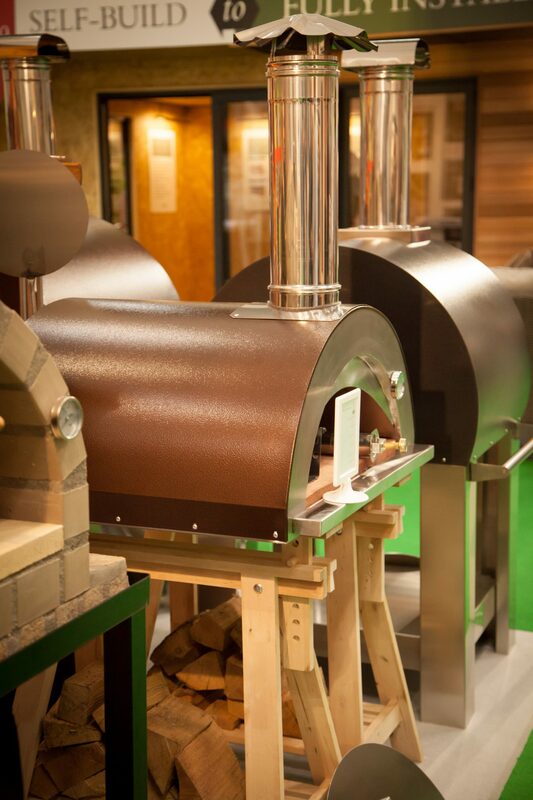 Stacking Wood Housing & Pizza Oven. 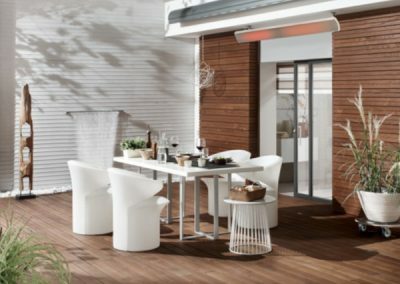 Our Outdoor Infra Red Heating System Enables All Year Round Use Of Your Patio. 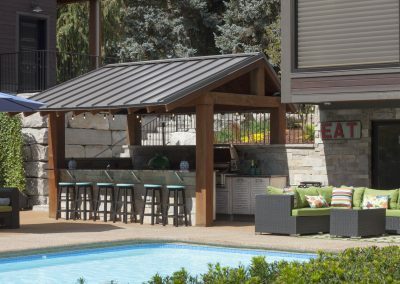 See Our Patio Canopies In The Canopy Sections Of The Building & Exterior & Solar Heating & Energy Menus Of This Website.